Can't believe another year has gone by. 2012 was a pretty good year on the bike, will try and post some sort of highlights update some time. Looks like i didn't update anything since March...eep! I print out the Monthly calendars, which leaves a good amount of space each day, and use a clip to hold 'em all together. 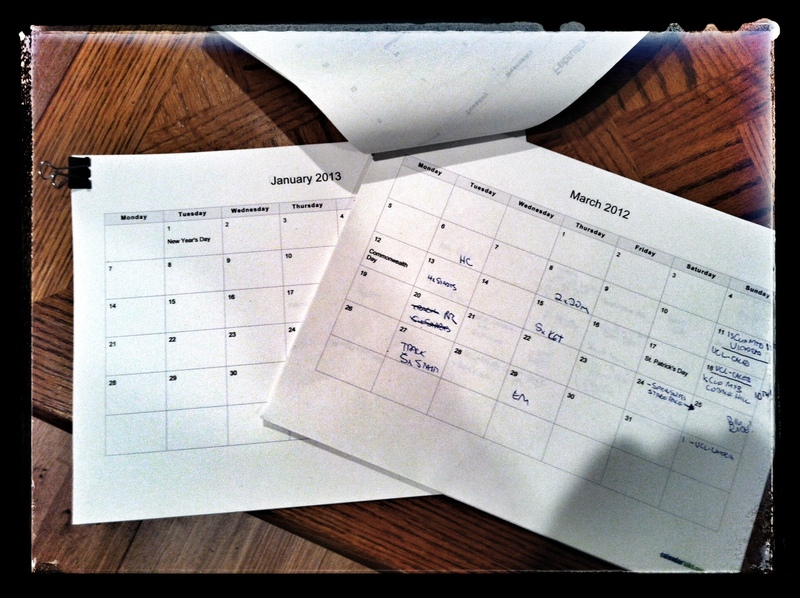 Also, since it's just a clip holding it all together, it's easy to add other sheets (there are a few local series, with a bunch of dates through the year, keep it all handy). And whatever training sheets you might have. Let me know if this works for you, or if you have a suggestion! Another year, another Festive 500 - riding 500km from Xmas Eve to New Year's Eve. 2011 was a real struggle, the weather was MISERABLE. This year - MUCH better! Barely got wet. I was finished with a day to spare, and took a rest day to boot! I just tweeted this, so might as well share here - it was pretty tasty! Lightly roast hazelnuts (like 5min at 300C), i used about 20 for about 2c soymilk. 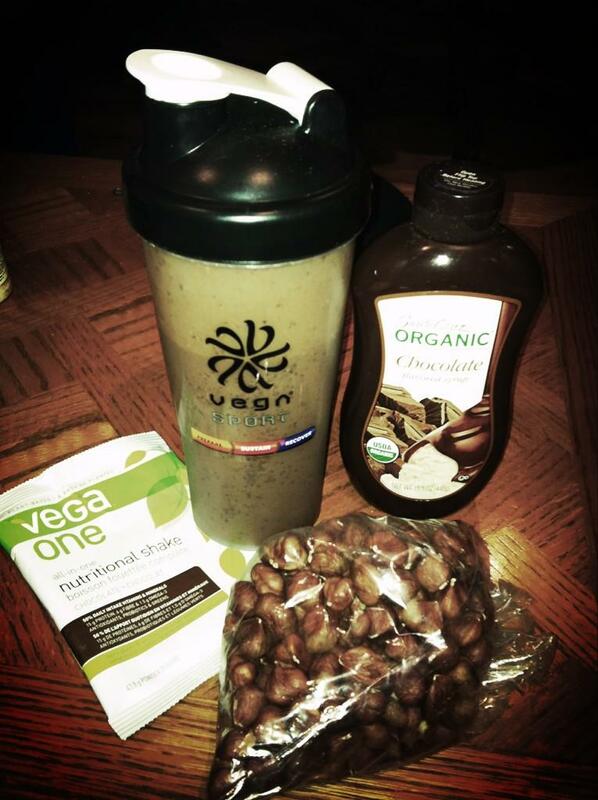 Add to soymilk in blender, add banana, chocolate syrup (to taste) and Vega, and blend it up!